G rowing up in tiny Fall City in unincorporated King County, Washington, the Divers brothers—Tim and older brother Scott—didn't have the money to formally feed their thirst for knowledge in building custom cars. 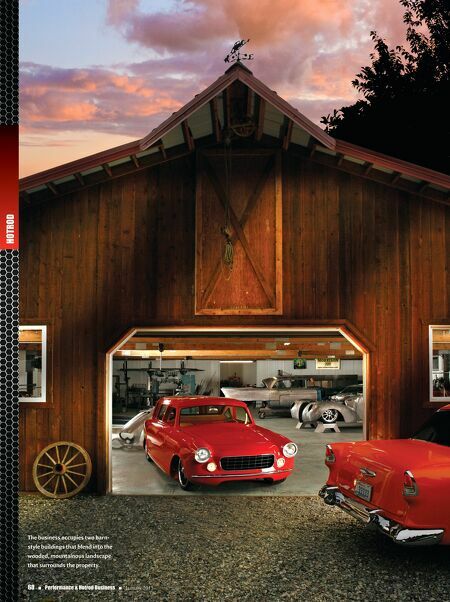 When the brothers wanted to learn how to fabricate parts, create custom paint jobs, massage metalwork or upgrade upholstery, they did it the old school way: by paging through every issue of Hot Rod magazine and reading everything about the industry. Then they'd work out the details in the family garage. "We come from a real gearhead family, for sure," says Tim. "But I never had a formal education. My first vehicle was a great Chevy Stepside truck, and my brother and I put a 327 in it and painted it black with flames. I learned what I knew by getting my hands dirty working on that truck and working in a Mobil shop that my family owned, doing brake jobs. "There's nothing wrong with having proper schooling, but I also feel like in this business you either have that vision and passion for the work or you don't," says Tim. "You can't teach all of that in a classroom." Mountain Mastery: Divers Street Rods Inc. 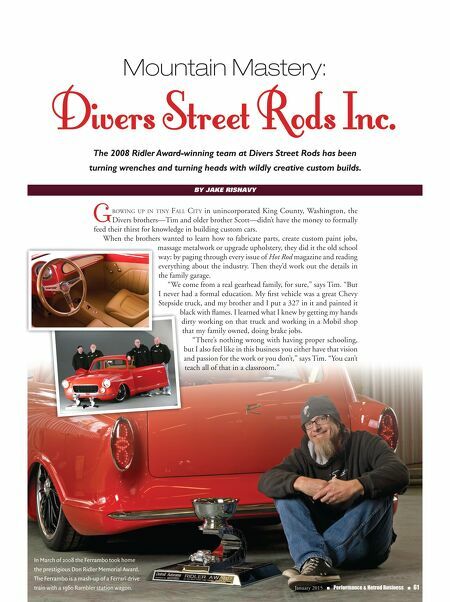 The 2008 Ridler Award-winning team at Divers Street Rods has been turning wrenches and turning heads with wildly creative custom builds. By Jake Rishavy January 2015 n Performance & Hotrod Business n 61 In March of 2008 the Ferrambo took home the prestigious Don Ridler Memorial Award. The Ferrambo is a mash-up of a Ferrari drive train with a 1960 Rambler station wagon.